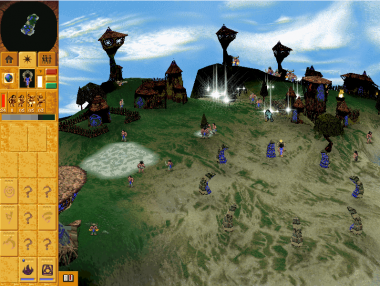 Level 02: "Eyes of the Doom"
Level 14: "Gate of the Hell"
Populous: Path of the GodChosen is a Populous 3 single player campaign with 25 original levels, created by user:Sulivan. 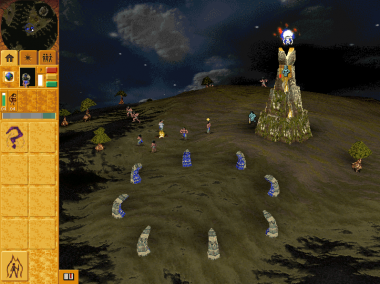 The levels unlock spells as you go, but slower than in The Beginning, making it much harder and much more spell/building restricted. The levels are usually hard, meant for very experienced players. This campaign has some of the most challenging Populous levels ever created, being considered the hardest yet. It has a storyline, exciting new textures, and very good scripts. 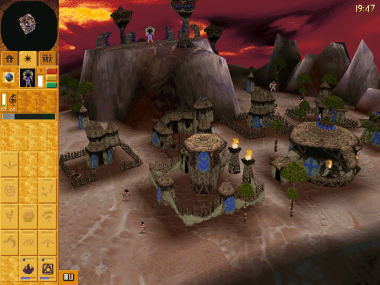 In some levels, the player is introduced to some new original features. It’s a pack of 25 original levels. They have a storyline, and original level titles. New original features (not as many as in The Order System), and textures. Expect some of the hardest levels on this campaign. Well made scripts will ensure challenging but fun levels. Some new ideas are introduced in this campaign. On this journey, the player is tested to the limits of skills and knowledge of Populous. High mechanics are required to win many levels. Slow spell and building unlocking will ensure the levels will not be easy. user:Sulivan - General idea, Levels Editing, Scripting, Language editing, levels tester. user:blacksheeppp, user:QQ996191441, user:blassdog, etc. - testing. Download PopPOTGC at: Divinity cloud. 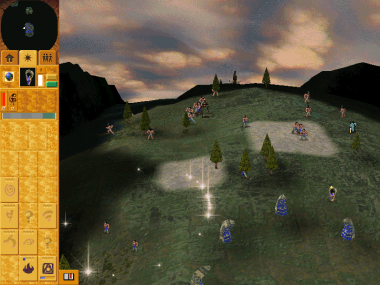 It's called "Populous: Path of the GodChosen". You can find a full playthrough on youtube at: Path of the GodChosen playthrough.